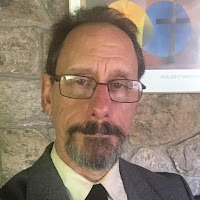 Tom Rosenbaum (CUUC member) suggested to me that we might learn something from looking at the ways that King himself discerned to which threats and goals to devote his attention. A review of King's career shows the focus shifting through the years. Young Martin’s public life began when he was 26, in 1955, the year Rosa Parks refused to give up her seat, which led to the Montgomery Bus boycott. Then in the early 1960s there were the lunch counter sit-ins and the Freedom Rides. 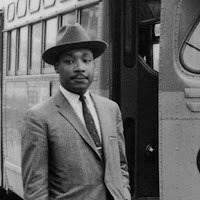 In 1963 April, King was arrested in Birmingham for violating a state circuit court injunction against protests. In solitary confinement, he read an advertisement taken out by white ministers that derided his efforts in Birmingham, calling his actions "unwise and untimely." Using the margins of the newspaper and toilet paper and a pencil, King wrote the "Letter from Birmingham Jail," portions of which were our responsive reading today. Later the same year he instigated and organized the March on Washington for Jobs and Freedom, at which he delivered the “I Have a Dream” speech. In 1964-1965, voting rights was the focus of Dr. King and the Southern Christian Leadership Council. The 1965 Selma to Montgomery March contributed to passing the Voting Rights Act of 1965. In 1967, the war in Vietnam was a large part of Dr. King’s focus. What was the basis for this shift? The grounding of the bus boycotts, sit-ins, Freedom Rides, and marches had always been nonviolence. 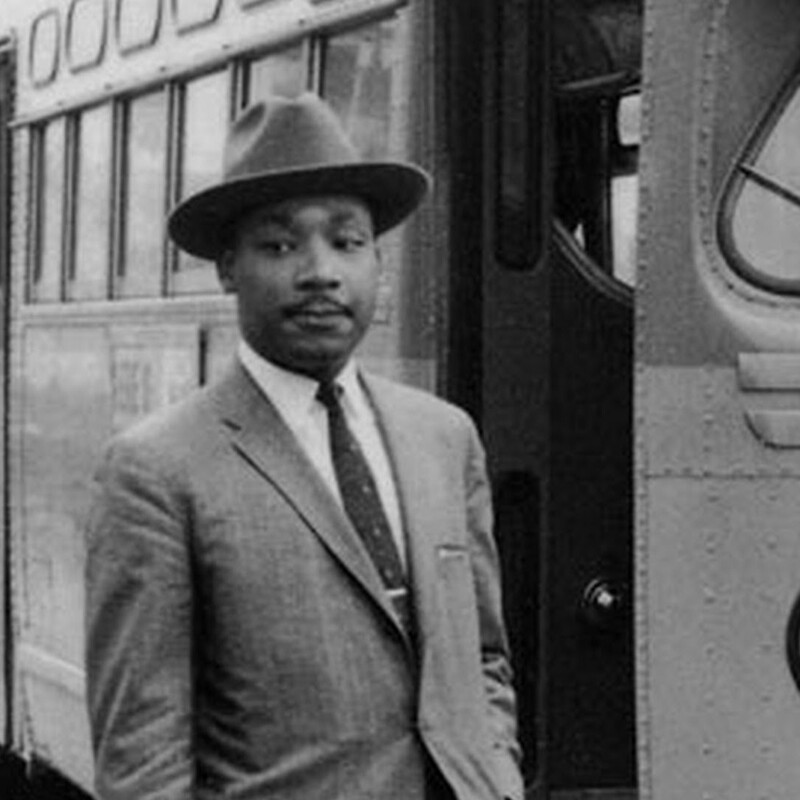 Nonviolence was not merely his strategy for civil rights goals. Nonviolence was itself the goal. The reason for nonviolence was to achieve civil rights, and the reason for civil rights was to achieve nonviolence. For him, the two were equally true, for discrimination is a form of violence. He cared about humanity. King’s dream was for beloved community, community without violence. He wasn’t limited to the violence of racism. His aim was nothing less that the eradication of all violence -- understanding that violence is any thought word or deed that treats a being like an object or diminishes a being’s sense of value or security, whether it includes bodily injury or not. It was natural and logical, then, that Dr. King would devote energies to opposition to the Vietnam war. The United States, he said, is the greatest purveyor of violence in the world. He saw violence as interconnected. A government willing to commit mass and bloody violence in Vietnam was also a government willing to countenance the breaking of people through race discrimination, or through poverty. Violence in one area breeds violence in other areas. For not keeping his focus on civil rights, he faced criticism from close associates and political allies, including President Johnson. By 1968, King's attention was on poverty. In April that year, King went to Memphis, where he would be shot. He went on behalf of striking sanitation workers as part of the Poor People’s Campaign. 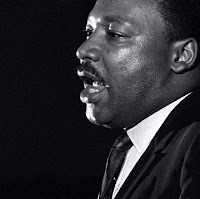 The Poor People’s Campaign, organized by King and the SCLC, focused on economic justice, not racial justice – which cost them support from those who wanted to the focus exclusively on civil rights. The Poor People’s Campaign was based on the principle that all people should have what they need to live. It brought together African-Americans, whites, Mexican-Americans, Puerto Ricans, and Native Americans—to alleviate poverty regardless of race. The changing emphases of King’s career reveal a man wrestling with identifying and working to repair the most torn parts of the fabric of society, both African Americans and whites. He was feeling his way both intellectually and politically. If we do what he did, we feel our way. We keep our eyes and our hearts open to discern where people are most hurting, and where our action can have the widest effects. Police reform is such a linchpin issue because what President Obama called the “simmering distrust that exists between too many police departments and too many communities of color” limits effective policing and is a key component of the oppression of whole communities. That's a big and an important issue, but it is not the only one. There’s also the plight of immigrants and refugees, both in our country and refugees abroad. There’s health care, the aftermath of the Affordable Care Act, Medicaid and Medicare. There’s climate change. There’s reproductive justice, facing down the threats to access to abortion, including the defunding of Planned Parenthood. There’re issues of respecting and protecting LGBTQIA folk. Dr. King found it hard to unify, or even coordinate with, disparate groups: for instance, SNCC (the Student Nonviolent Coordinating Committee, pronounced "snick") on the one hand, and Malcolm X on the other. In our time, we face challenges sustaining common cause among environmentalists, immigrant rights advocates, health care advocates, and all the others. This is part 2 of 3 of "What Do We Do Now, Dr. King?" Part 1: What Do We Do Now, Dr. King? Part 3: Can't Fix Everything? Labels: What Do We Do Now Dr King?